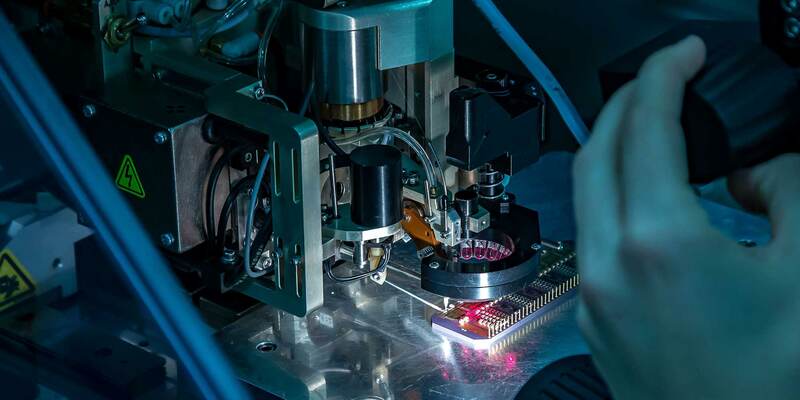 PRP Optoelectronics’ in-house fabs produce optoelectronic devices in compound semiconductor and semiconductor alloy materials, including those with GaAsP, InGaAlP, GaInP, InGaAsP and InGaN emitters, with emitter sizes down to 10µm and pitches of 15µm with 5µm spacing. These materials cover the entire colour range from blue to red; infrared and ultraviolet devices can also be processed. The clean rooms are to Class 1000 with Class 100 laminar flow benches, and while large enough to support volume manufacturing of monolithic opto devices, they also offer flexibility for rapid turnaround prototyping. The comprehensive technology portfolio includes: diffusion; mesa etching; implantation; electron beam and thermal evaporation; passivation deposition; contact sintering (annealing); photolithography; ashing; dicing; and probe testing. We use the state of the art wafer processing facilities at Rutherford Appleton Laboratory to design, develop and manufacture our LEDs. We are also able to offer PRP’s extensive skills and experience in this area to customers who require wafer processing. 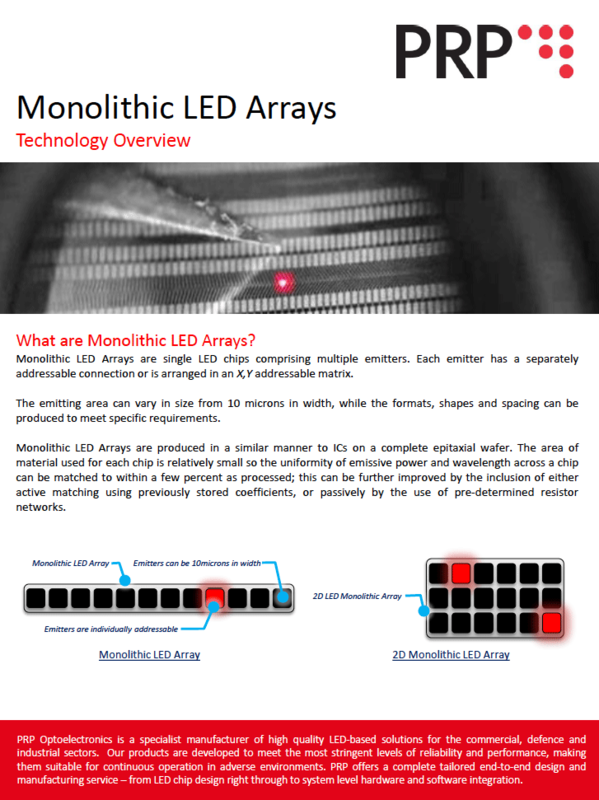 Click on the image above or button below to open the PDF document and learn more about Monolithic LED Array technology.